Crowding is common in emergency departments (EDs) and increases the risk of medical errors, patient dissatisfaction, and clinician stress. 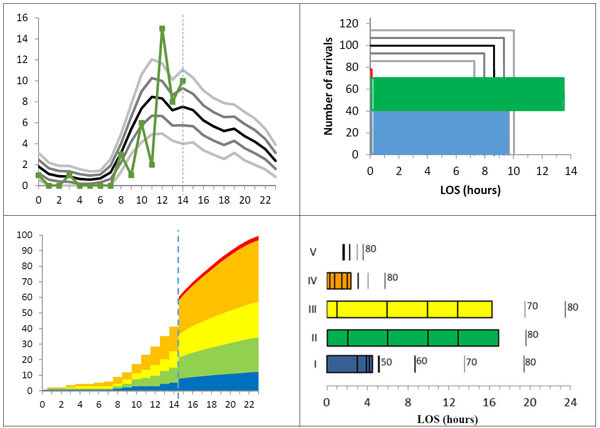 The aim of this study is to investigate patterns in patient visits and bottlenecks in ED work in order to discuss the prospects of visualizing such patterns to help manage crowding. To investigate the influence of three different types of shoe models frequently worn at home, including an open heel shoe model, on gait parameters that are associated with fall risk in older persons. In the attempt to quantify the impact of environmental aspects on the experience of humans, ratings on comfort and on mood are widely used but different answering formats are suggested. A direct comparison of different kinds of scale formats of ratings of comfort and of mood states as well as their relation to the cardiovascular response was the objective. It was expected that activation-related scales are associated with physiological measures and that comfort scales and ratings of mood states would give complementary information on the impact of environmental conditions. The response to different answering formats of ratings of Trimmel’s Index of Mood States (TRIM-S) and of overall comfort as well as their relation to the cardiovascular response (heart rate, HR, and heart rate variability, HRV) were compared in an experimental setting. 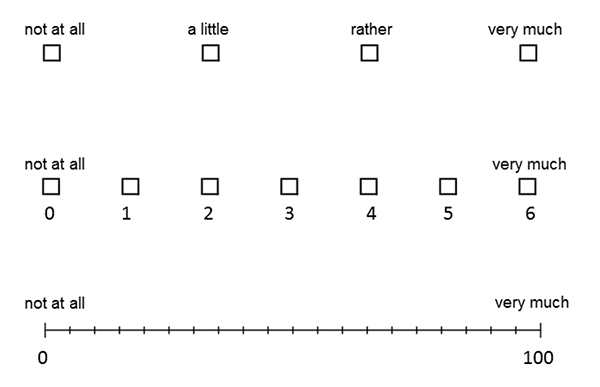 Ratings on labelled four-point Likert scales, seven-point Likert-like scales, and visual analog scales (VAS) scales (filled in in a counterbalanced order across the 45 test persons) were compared in 5 min lasting conditions: baseline, positive situation, negative situation, boring situation, Touch for Health, and relaxation. The four dimensions of TRIM-S (energy, good mood, motivation, and relaxation) showed a condition-specific pattern of response, widely independent of the answering format. Also ratings on overall comfort showed a condition specific response widely independent of the answering format. HR was high for Touch for Health and low for the boring condition. 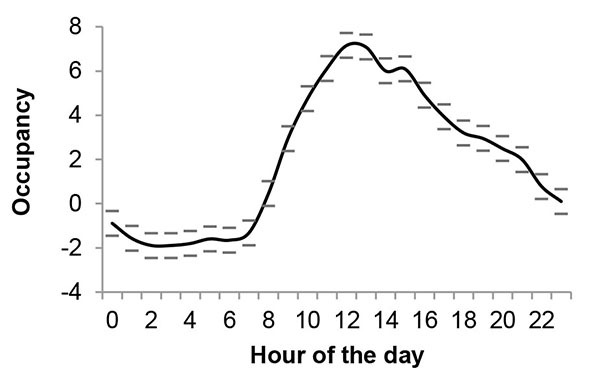 Relative power of high frequency in HRV (HF%) was particularly associated with being bored and relaxation. Relative power in very low frequency in HRV (VLF%) was inversely and more strongly related to conditions than relative power in low frequency in HRV (LF%), and a certain sensitivity with emotional activation was observed in VLF%. The activation related dimensions of TRIM-S, energy and relaxation, were associated with cardiovascular activity, but motivation and mood are more sensitively assessed on the subjective level of response by ratings, widely independent of the answering format. Results indicate that subjective responses by ratings and physiological measures are complementary in assessing the impact of environmental circumstances. To decide the appropriate answering format of the questionnaires, factors like target population, limitations of human information processing (suggesting to hold 4 elements in mind rather than the maximal capacity of about 7 elements which could challenge the person in the answering decision), and economical aspects should be considered.